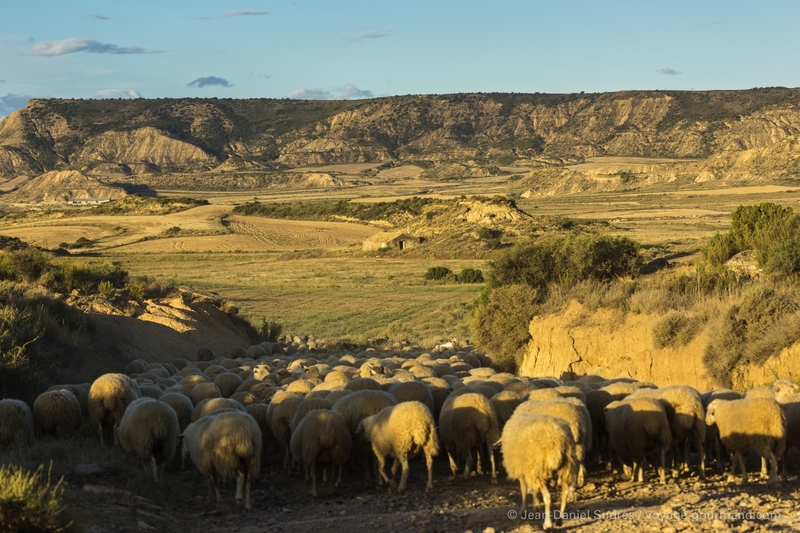 We are just 70km from the lush Bearn Pyrenees, and one is struck by the strange feeling of having been transported to another continent. 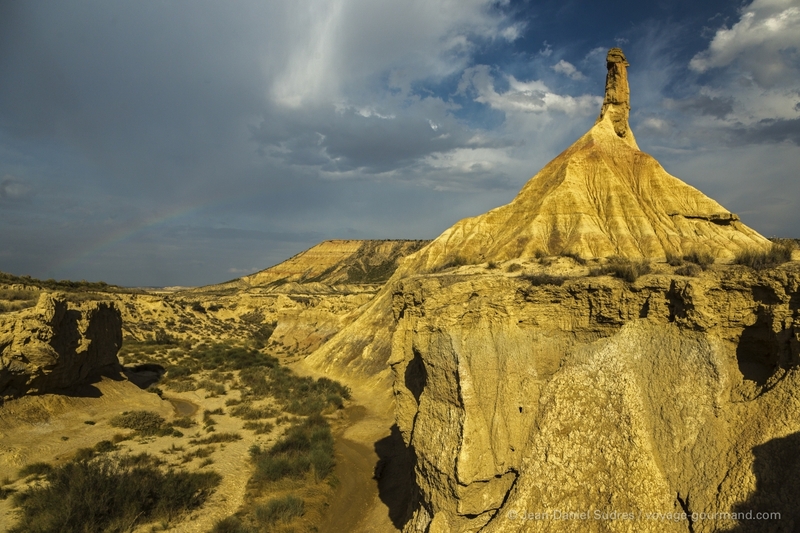 In the southeast of Navarre lies the desert of Bardenas Reales, a vast area of 42 000 ha between Tudela and Carcastillo offering unique landscapes that truly give backpackers the illusion of traveling through Monument Valley and other mythical landscapes of the American Far West. 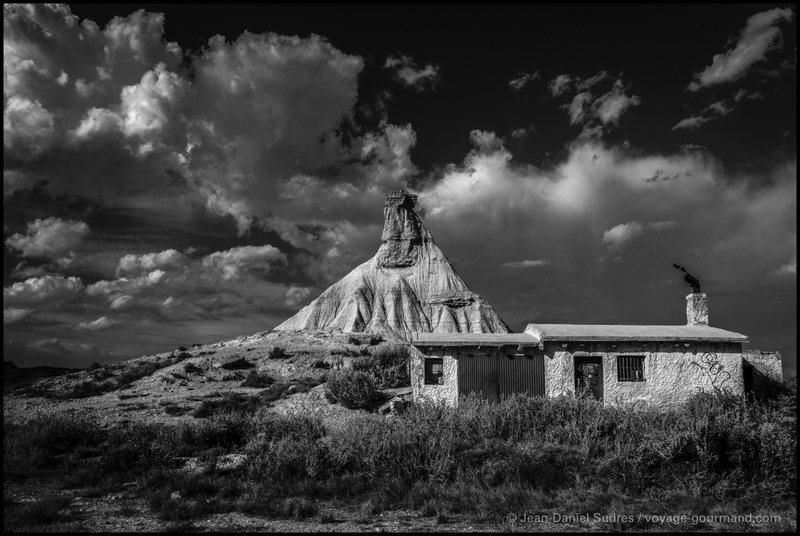 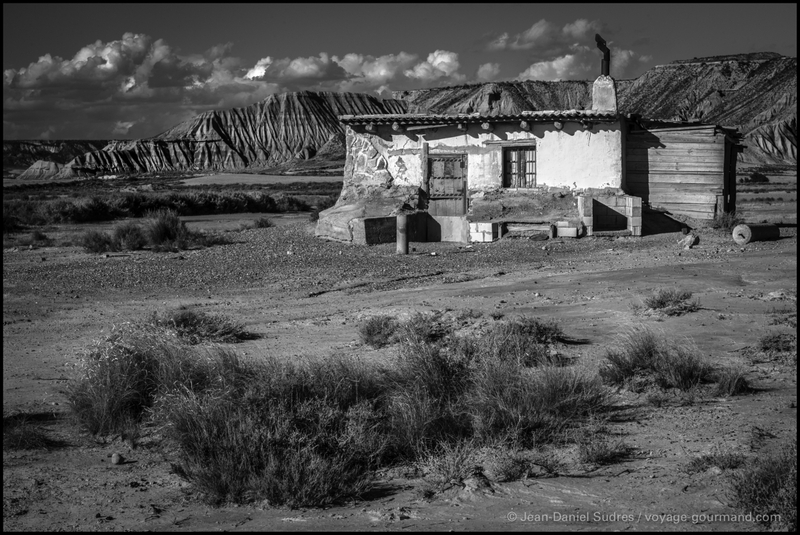 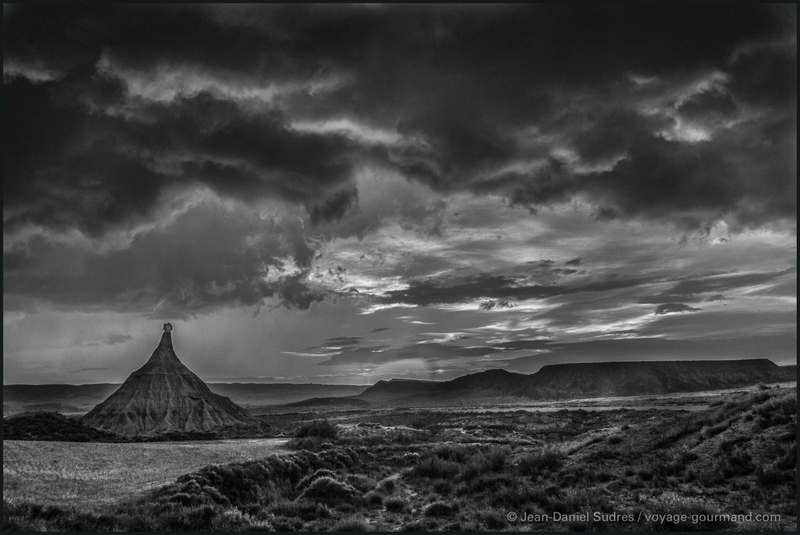 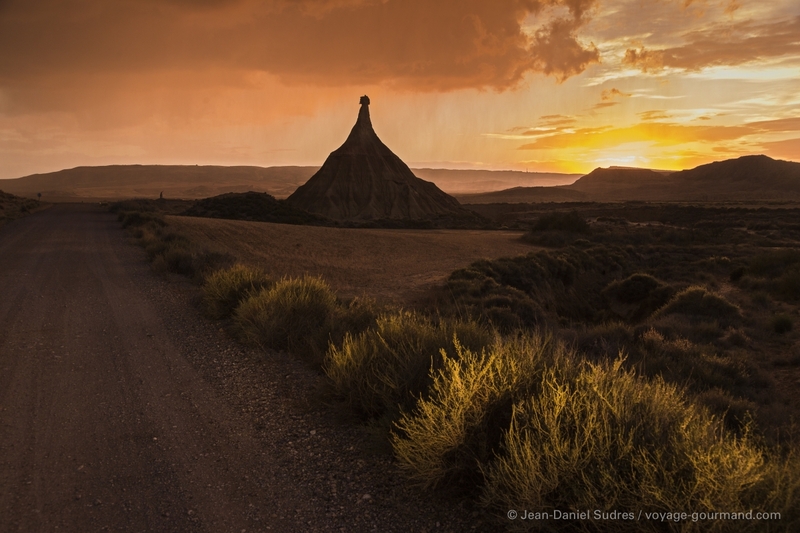 Cinematic scenes of the open road all the way to Cabezo Castildetierra, an almost lunar landscape, dotted with ravines, plateaus and fairy chimneys, or hoodoos, and the occasional shepherd’s hut. 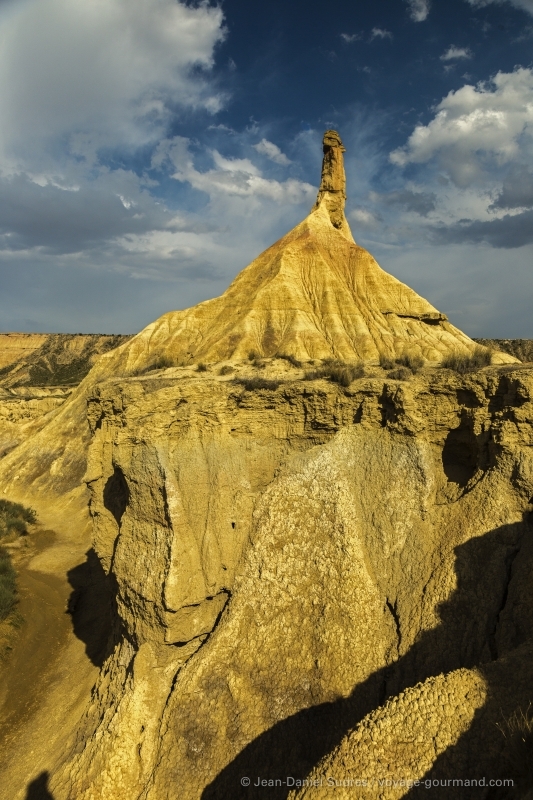 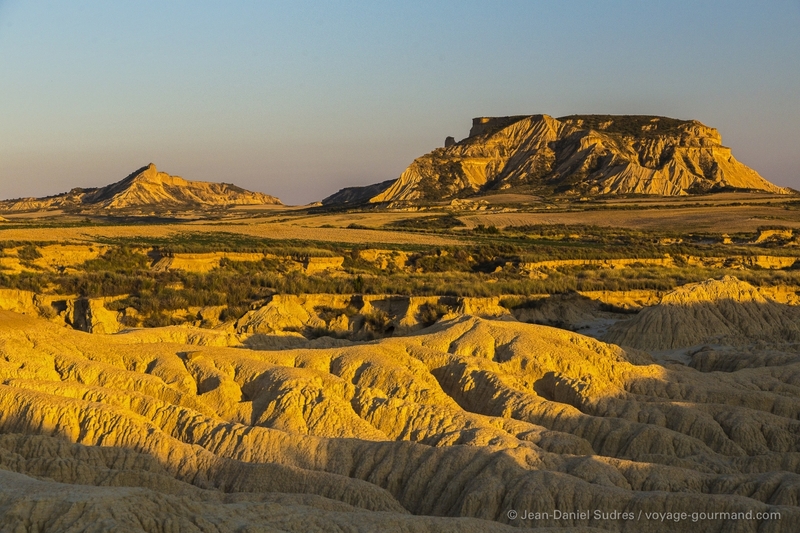 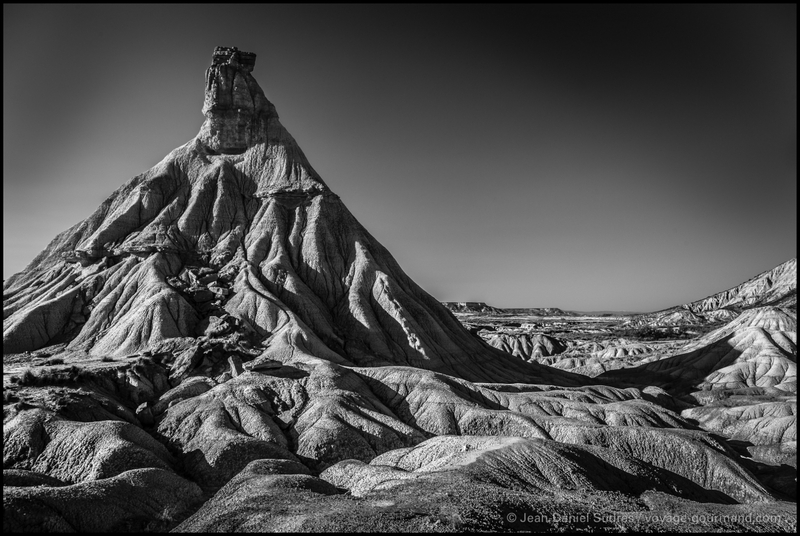 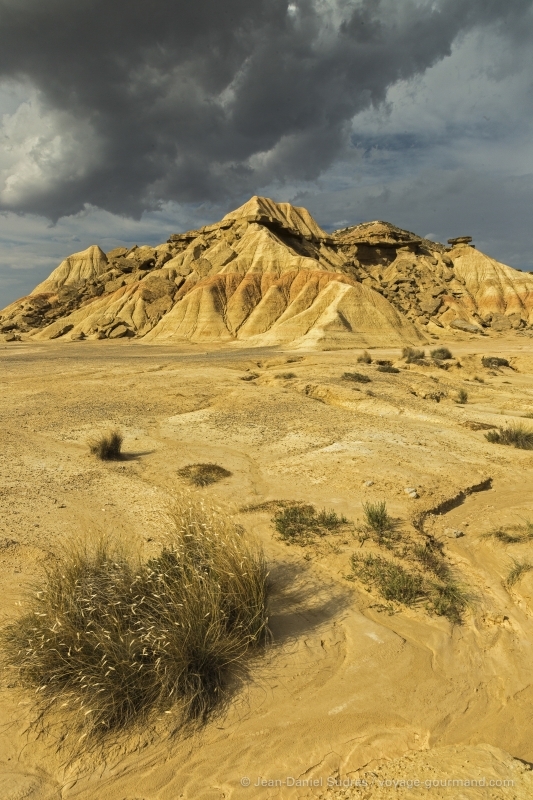 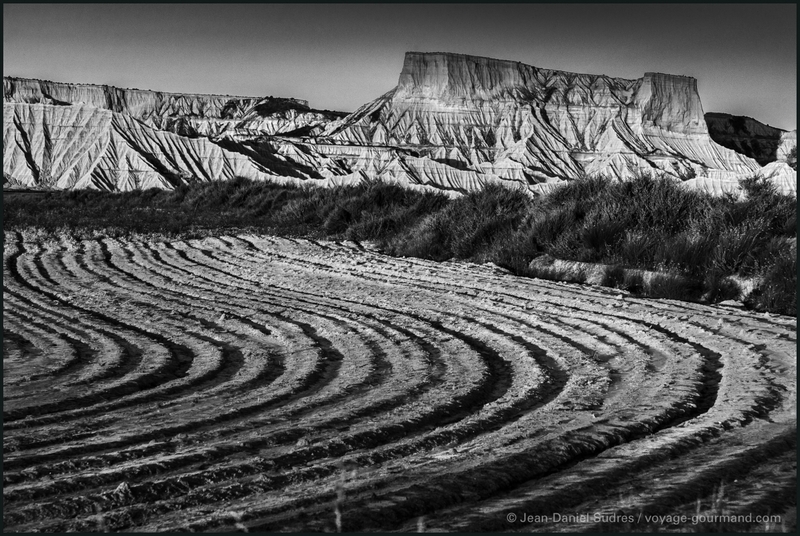 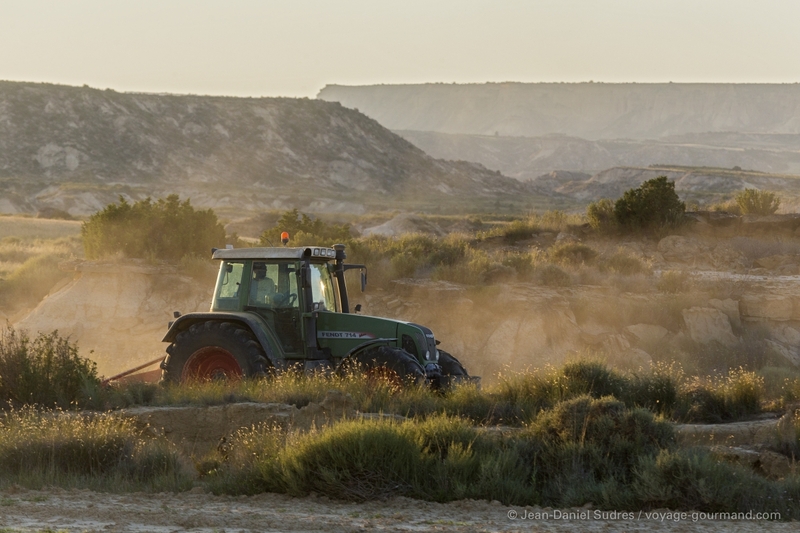 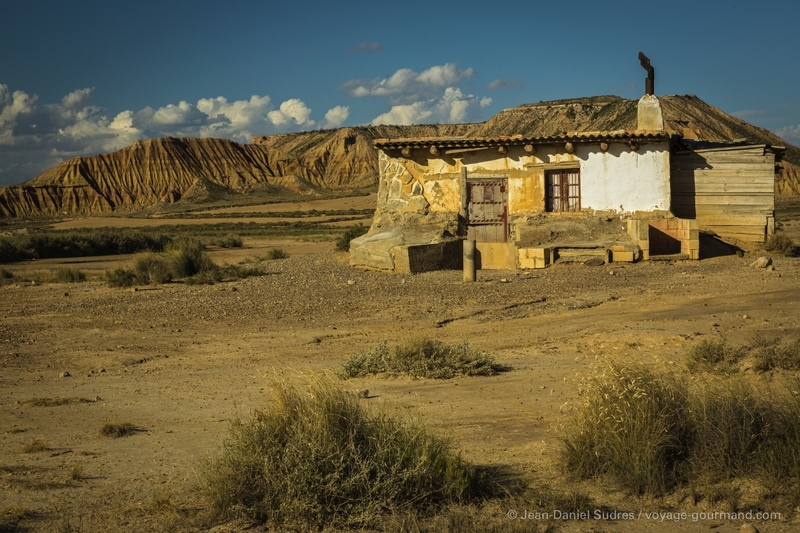 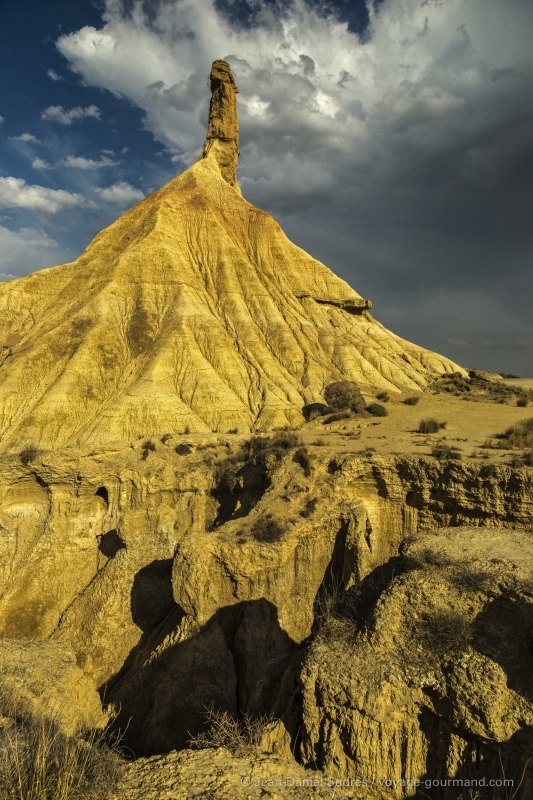 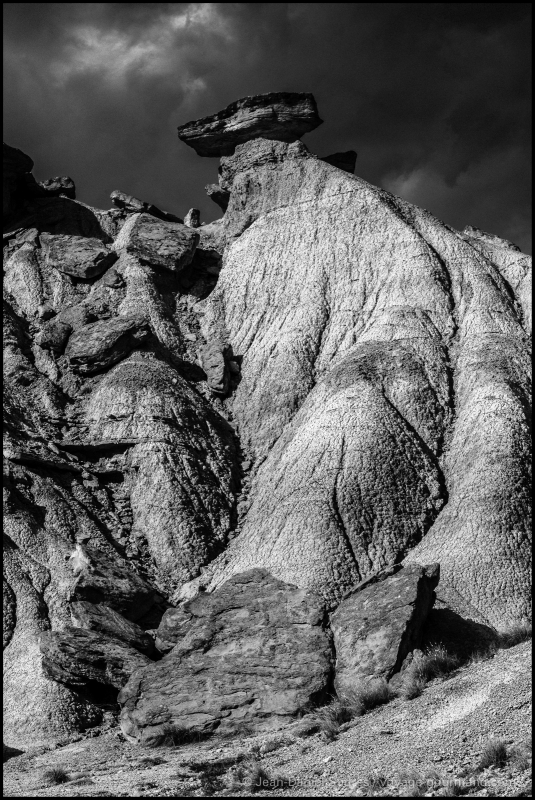 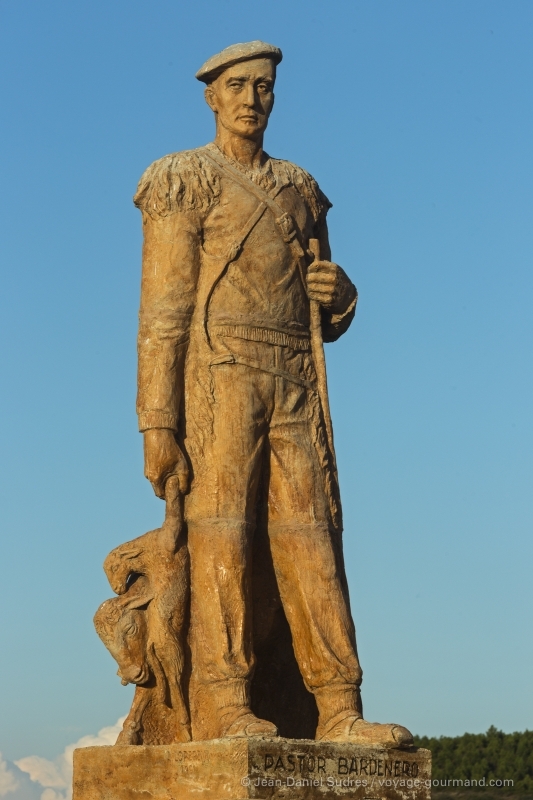 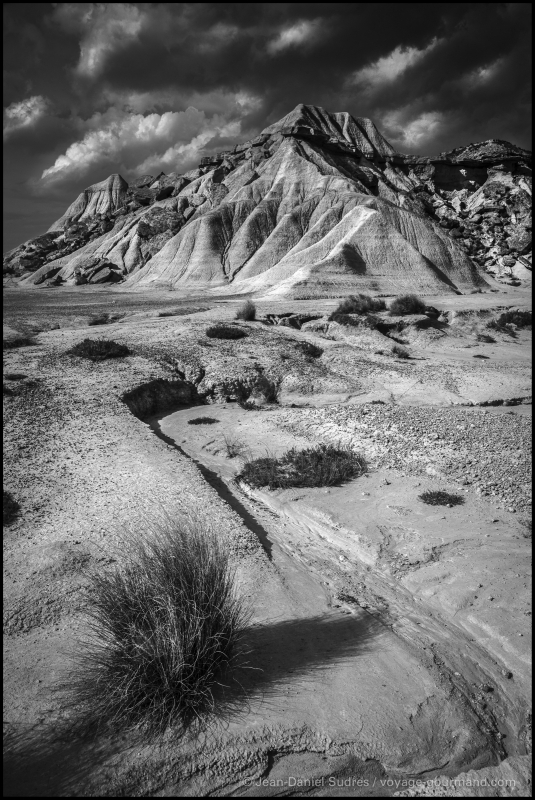 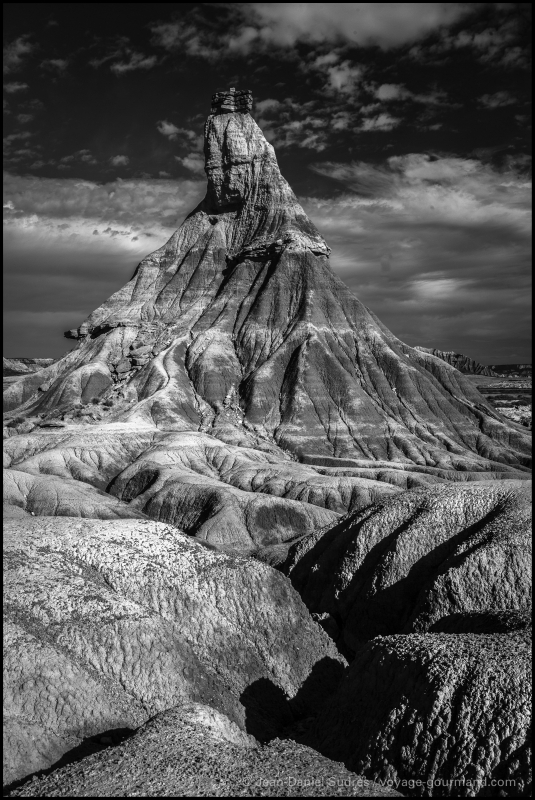 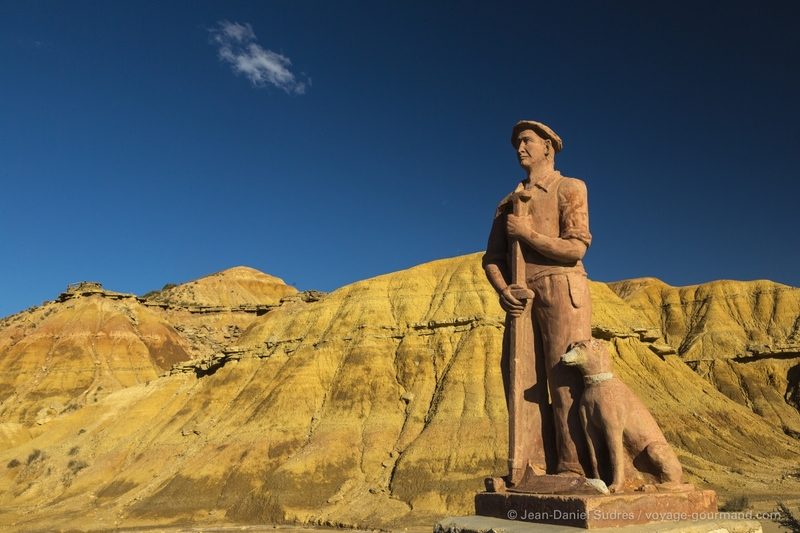 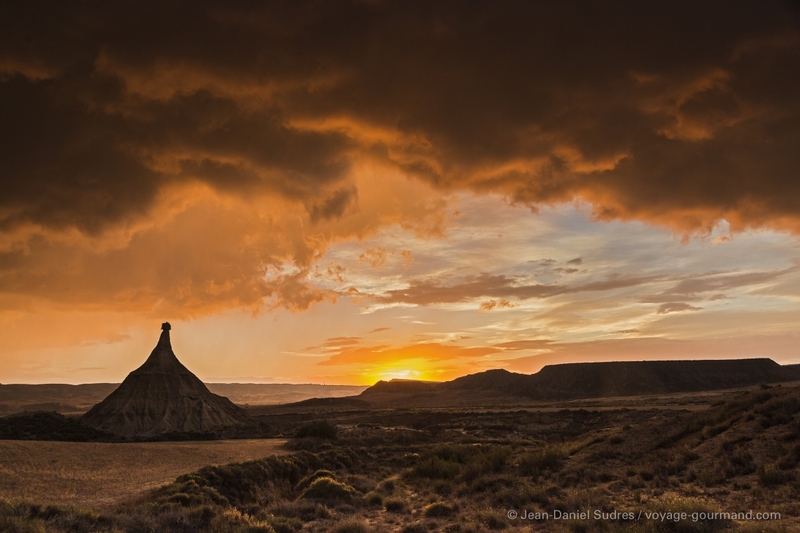 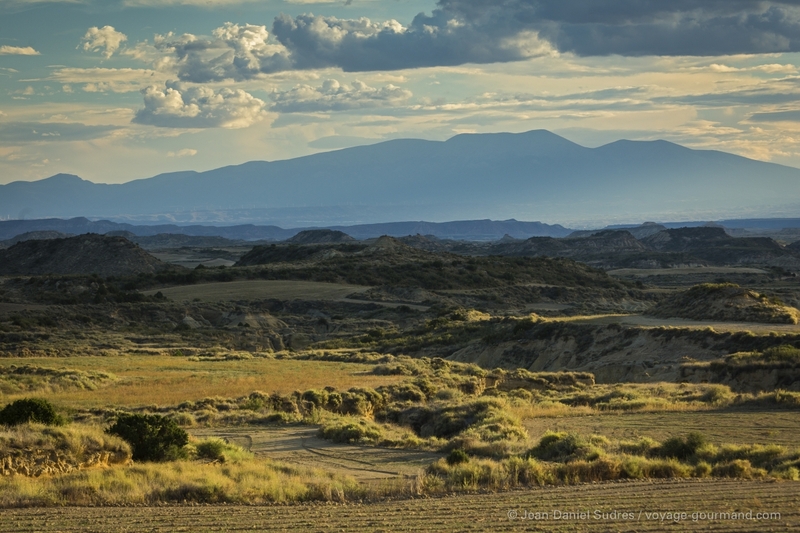 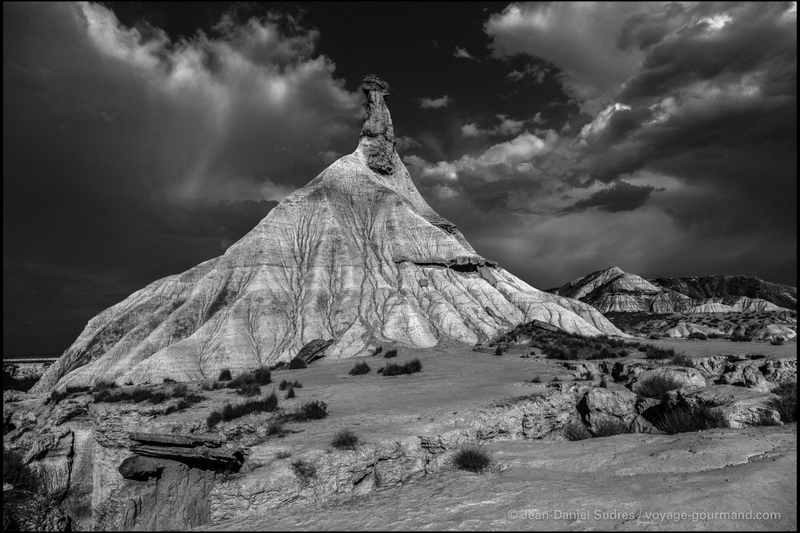 Recognized as a natural park in 1999, Bardenas Reales in Navarre was registered as a UNESCO Biosphere Reserve in 2002. 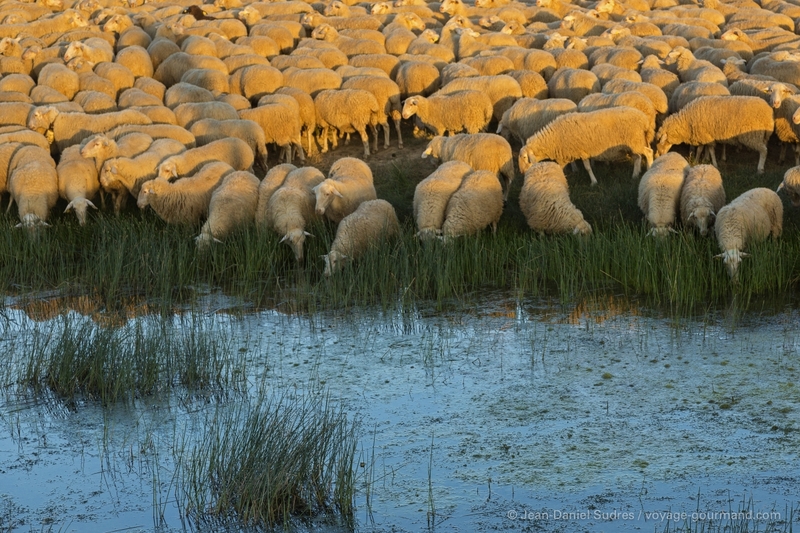 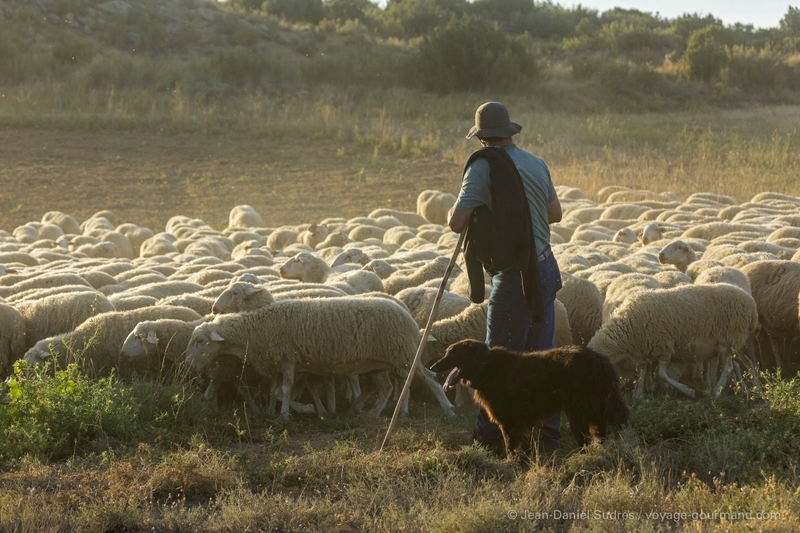 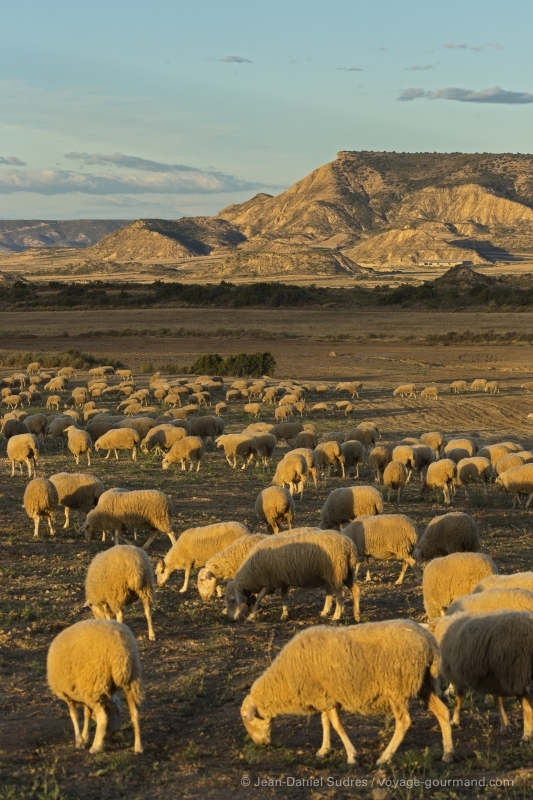 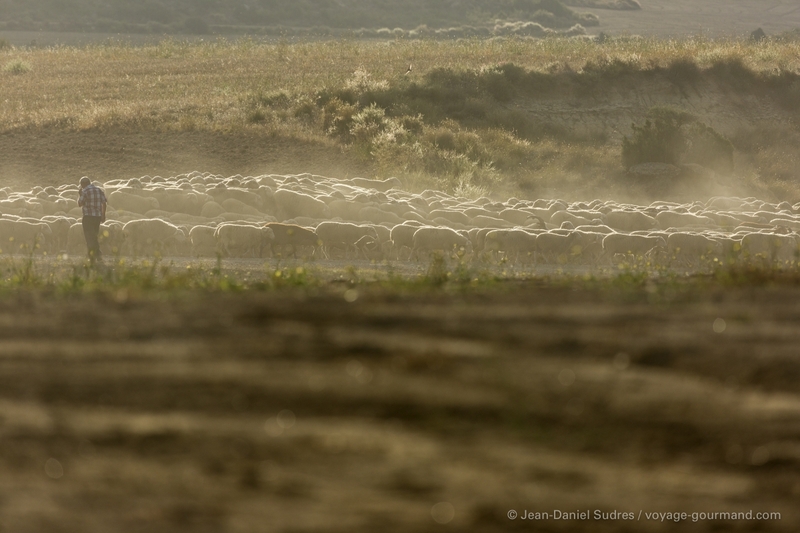 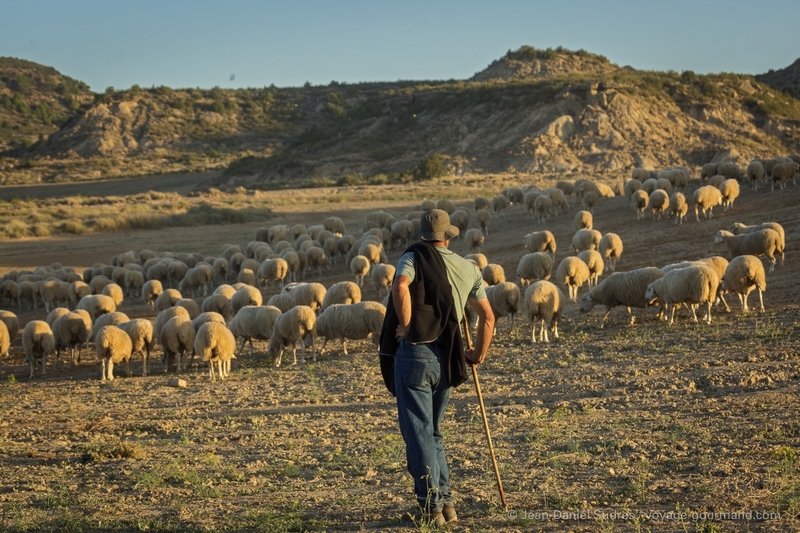 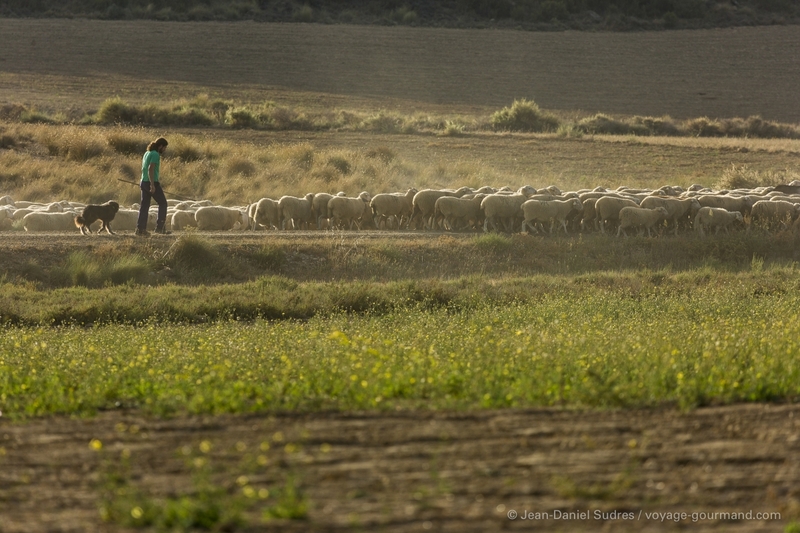 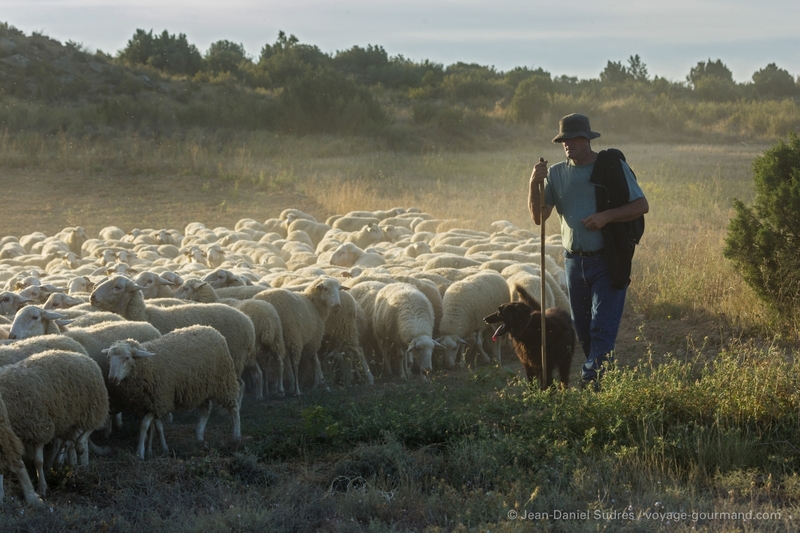 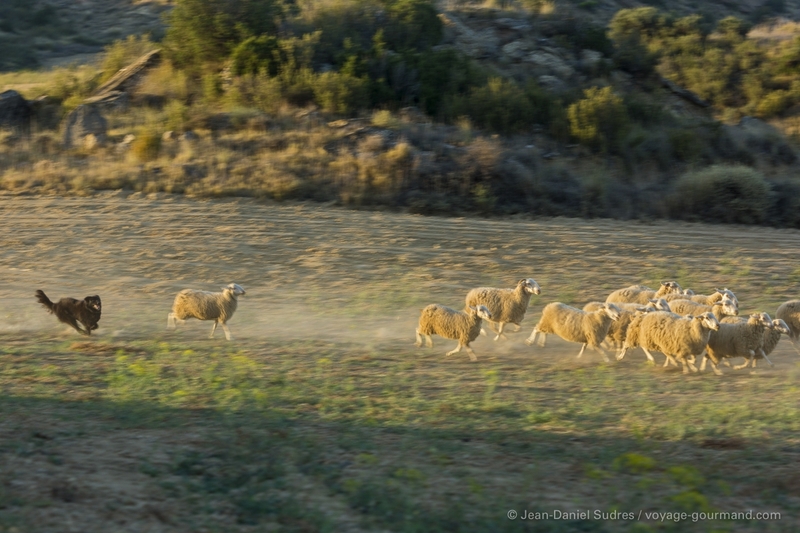 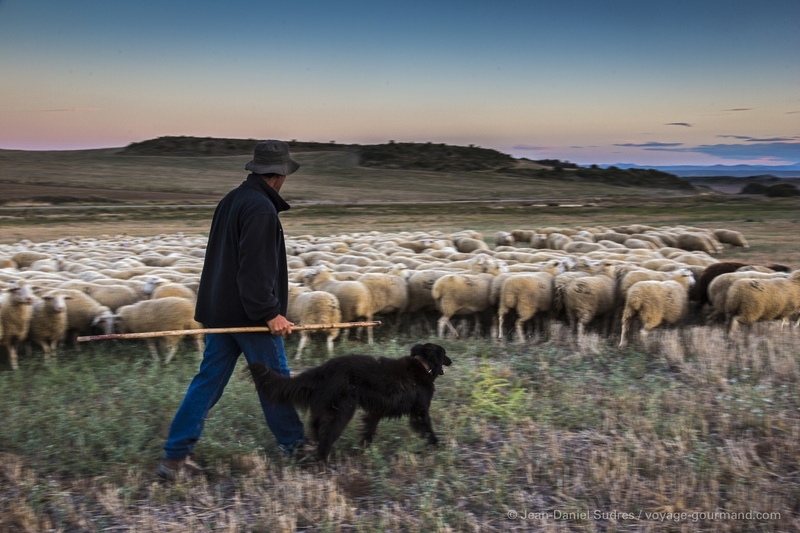 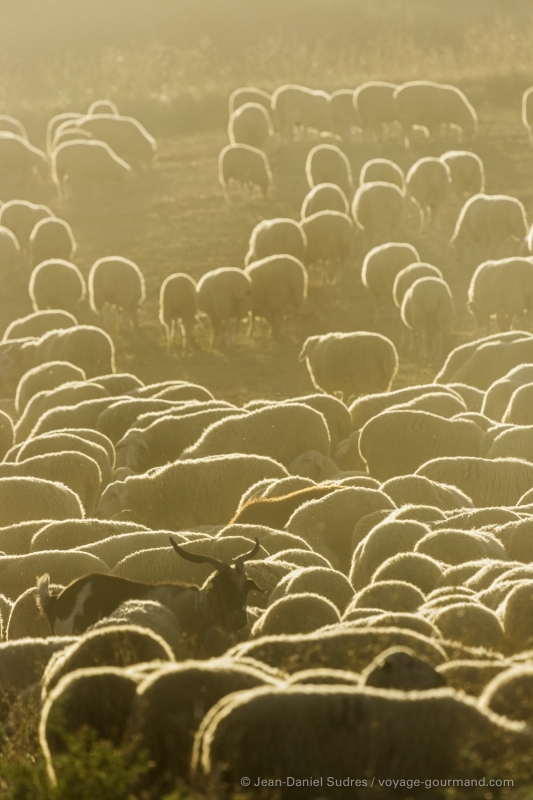 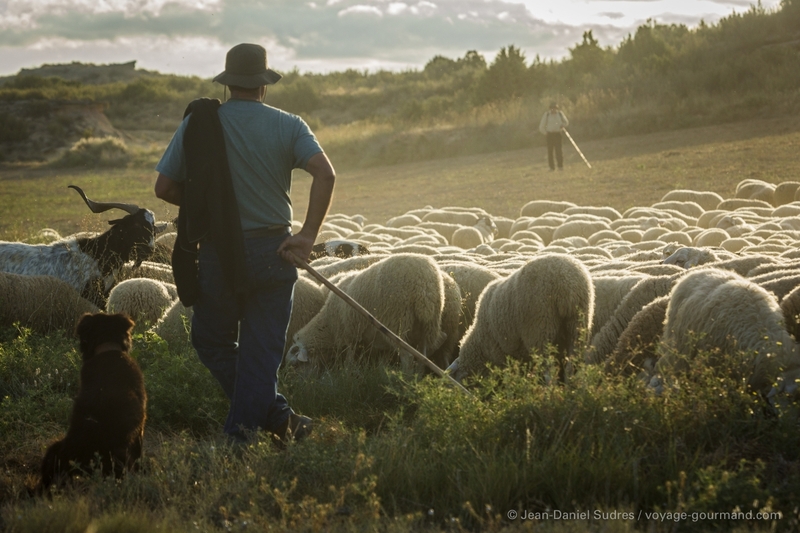 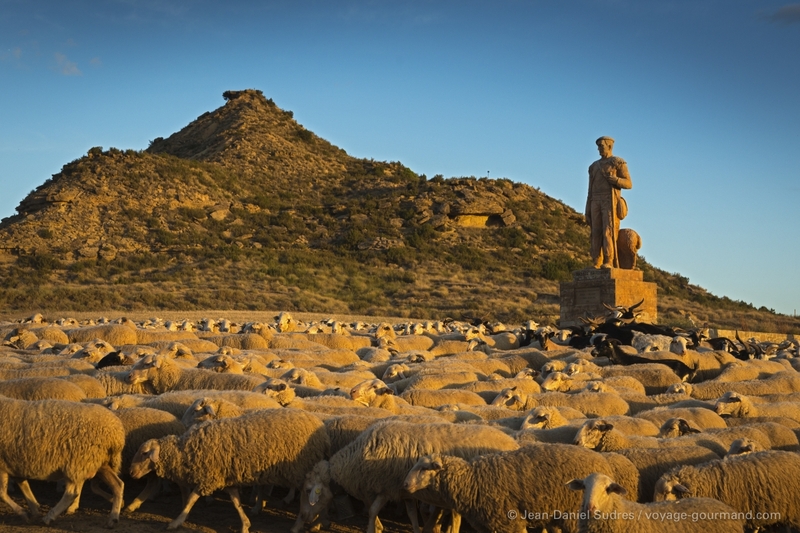 Every 18th of September, there takes place a ritual dating back to the Middle Ages: the Sanmiguelada, the seasonal migration of thousands of sheep, guided by their shepherds down the Pyrenean valleys of Roncal and Salazar to the Bardenas Reales over the course of a multi-day voyage. 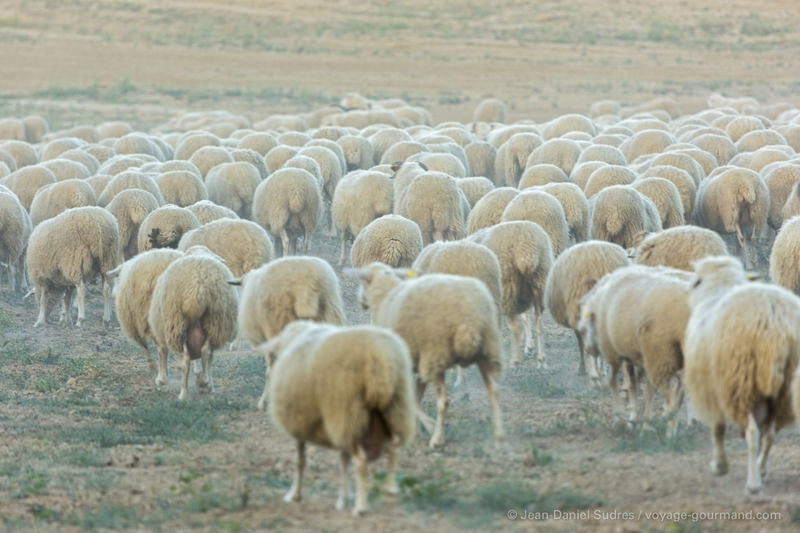 The region will host the herds that graze there for the fall and winter months.